A man is to appear in court charged with trying to trap and poison his neighbour’s cats. Laurance Brown is accused of trying to injure and kill the animals. It is alleged that at his home in Falkirk, Brown (60) set “illegal and inhumane snares” to trap the felines, and put down poison to kill them. Charges state that between June 22 and 25 this year he repeatedly caught one of the cats in a snare, where it became entangled and unable to free itself. Brown faces four charges – causing a cat unnecessary suffering; “attempting to maliciously damage” cats belonging to his neighbour; using a snare without a stop on its noose to catch animals other than a fox; and setting two rabbit snares without obtaining an official identification number for the traps from the police. The latter two charges are alleged contraventions of the 1981 Wildlife and Countryside Act. 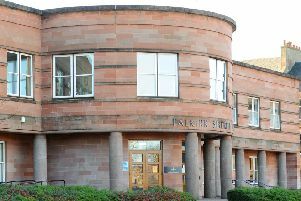 At Falkirk Sheriff Court today, the case against Brown was continued without plea until November 7.